Cool app! Next iteration could include various sports team logos, NFL, MLB, College etc.. Heck the possibilities are endless. Obviously world flags would make sense too. Great work! The Canada flag has the red stripes on top and bottom. Should be on sides. 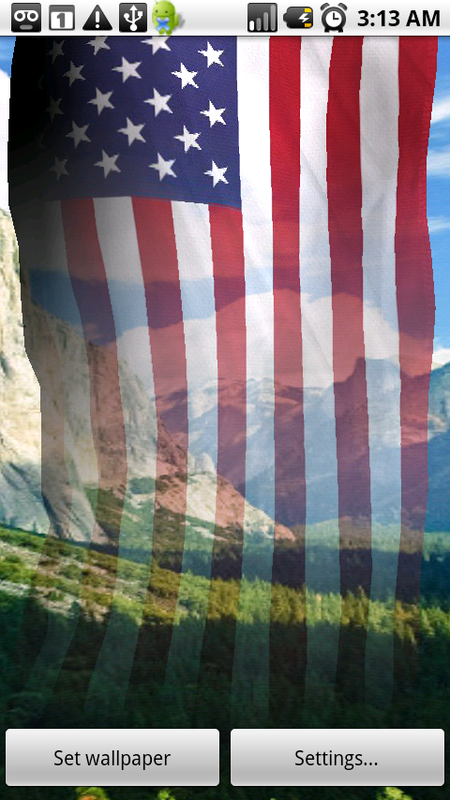 Update: When Droid phone has optional keyboard extended (horizontal view), the Canada flag is correct. However, when the screen is in vertical view, the Canada flag is incorrect.